Czech startup Skypicker, launched in 2012 and billed as the online travel booking agent with the most extensive database of low cost flights, has received $500,000 investment from Touzimsky Airlines (a newly created division of Touzimsky Capital that focuses on projects dealing with airline tickets). Originally the company was funded with just $24,000 of the Czech entrepreneur Jiří Hlavenka, but a year later reported over $500K in annual revenue. Using Skypicker is quite easy. You are presented with a map (a country or a city view). 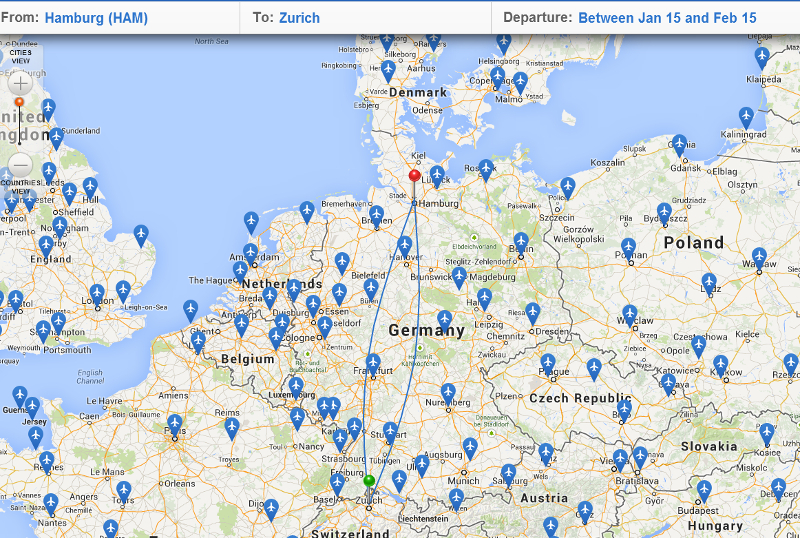 You can just click destinations on the map, or choose to fly anywhere. You indicate the date of departure as a range (e.g. any day between January and February) or as a specific date, as well as a number of nights in the destination point. The website then lists all available flights, that can be sorted based on departure date, prices and other criteria. At the time of obtaining the funding the company has also announced acquiring WhichAirline from Lukas and Barbora Nevosad, known to us as founders of trip planning startup Tripomatic. WhichAirline is a meta search engine, which key advantage is a convenient user interface. Until the future announcement both websites will run independently. The CEO and founder of Skypicker Oliver Dlouhy plans to expand sales of tickets from Europe to the rest of the world specializing in the low-cost segment. The company also expect to have 2014 turnover 5 times higher than last year.